Instant Pot Cilantro Lime Rice tastes exactly like the rice from Chipotle! So fresh, flavorful and easy to make! Based on the fact how popular is my regular (stovetop) cilantro-lime rice recipe, there are so many Chipotle lovers out there! 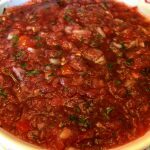 I have published it several years ago before I even heard of the Instant Pot. What’s the next logical thing to do? Adapt it to the Instant Pot of course! 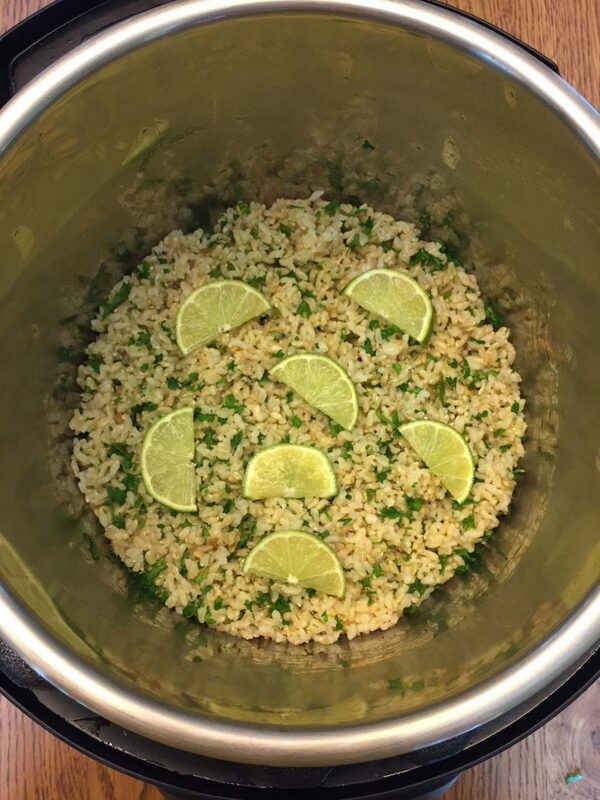 Introducing… drumroll… Instant Pot Cilantro Lime Rice! This mouthwatering rice just screams “Freshness”! 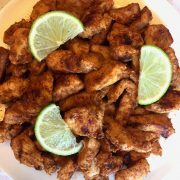 Can you smell cilantro and lime? Look at the green specks of cilantro! Taste the fresh bursts of flavor in every bite! Lime juice gives the rice such a clean flavor, you just want to eat more and more and more! Plus there is just a touch of garlic, not enough to be overpowering but just enough to increase the addictiveness! 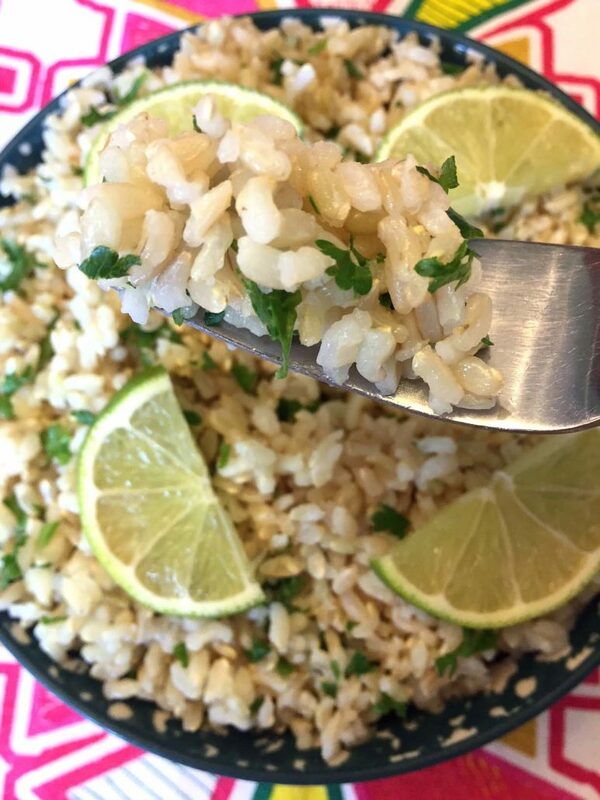 Instant Pot cilantro lime rice can be made with white or brown rice – your choice! Instant Pot can cook either type of rice to perfection – see my recipes for perfect Instant Pot write rice and perfect Instant Pot brown rice. 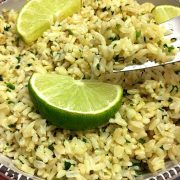 I like the health benefits of brown rice, so I usually make my cilantro-lime rice with brown (and that’s what you see on the photos). You can even make this dish with quinoa instead of rice (see my Instant Pot quinoa recipe). 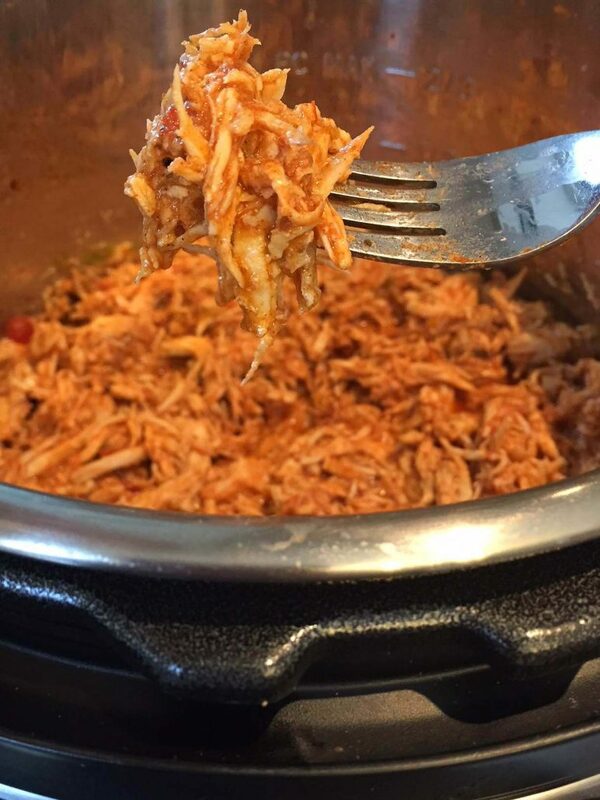 Instant Pot Salsa Chicken – serve it over this cilantro-lime rice, mmmmmm! Best Ever Guacamole – this authentic Mexican guacamole is the only guacamole recipe you’ll ever need! Truly the best ever! 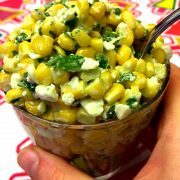 Mexican Street Corn Salad – this salad is so refreshing, addictive and mouthwatering, you’ll gobble up the whole bowl! And you can make it with fresh corn on the cob by cooking corn in Instant Pot! 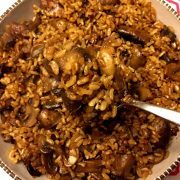 Instant Pot Mushrooms – these mushrooms are so hearty and delicious! 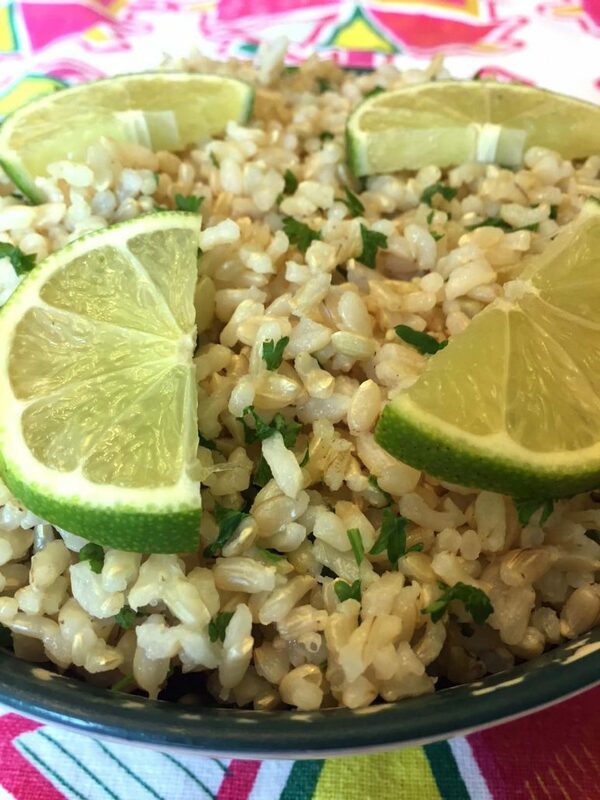 Serve them over cilantro-lime rice for a filling plant-based meal! Instant Pot Beets – Instant Pot is the easiest method for cooking beets! And once you do, make this gorgeous beet and feta salad out of them – with amazing bright colors, it looks super impressive! Instant Pot Brussels Sprouts – another Instant Pot winner! These brussels sprouts are so yummy and good for you, now you have no excuse not to add more of them into your diet! 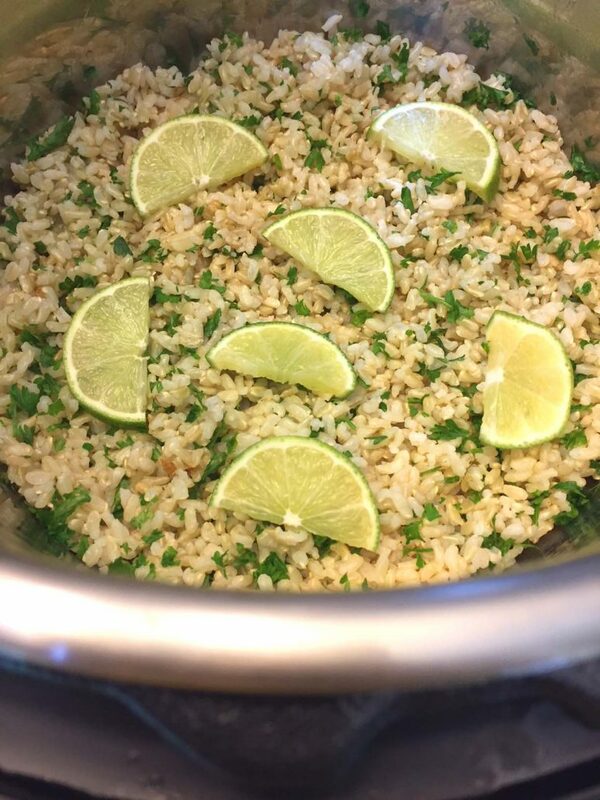 Instant Pot cilantro-lime rice tastes like the rice from Chipotle! 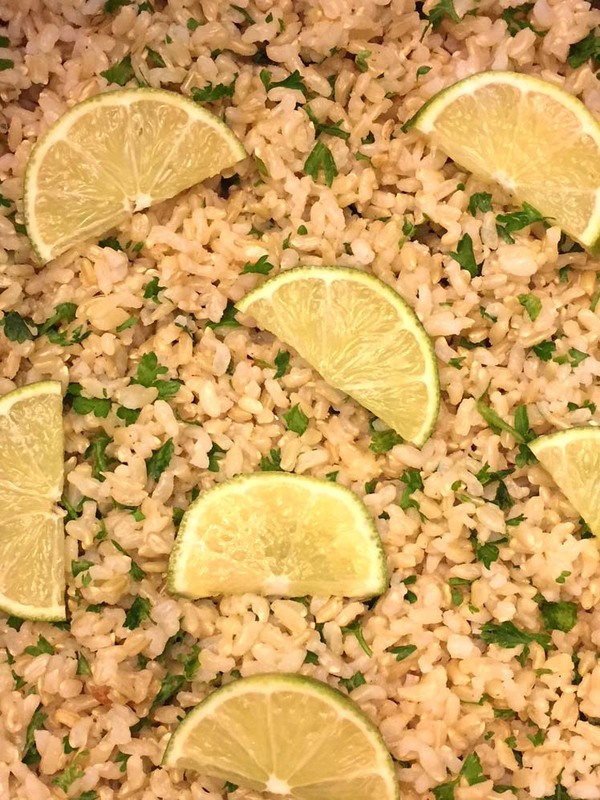 Bursting with fresh cilantro lime flavor, this rice is mouthwatering! 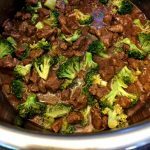 Super easy to make, Instant Pot is a game changer! Put rice, water and salt in the Instant Pot. Close the lid and turn the valve to a Sealing position. Press the "Pressure Cook" or "Manual" button. Set the time for 5 minutes on High pressure for white rice (or 22 minutes on High pressure for brown rice). When the Instant Pot is done cooking, let the pressure release naturally (NR) for 10 minutes, then quick release (QR) the remaining steam. 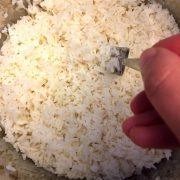 Open the lid of the Instant Pot and fluff the rice with a fork. 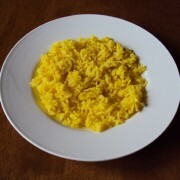 Add the lime juice, olive oil, minced garlic and cilantro to the rice, stirring with a fork until evenly distributed. Add additional lime juice and cilantro to taste if desired. 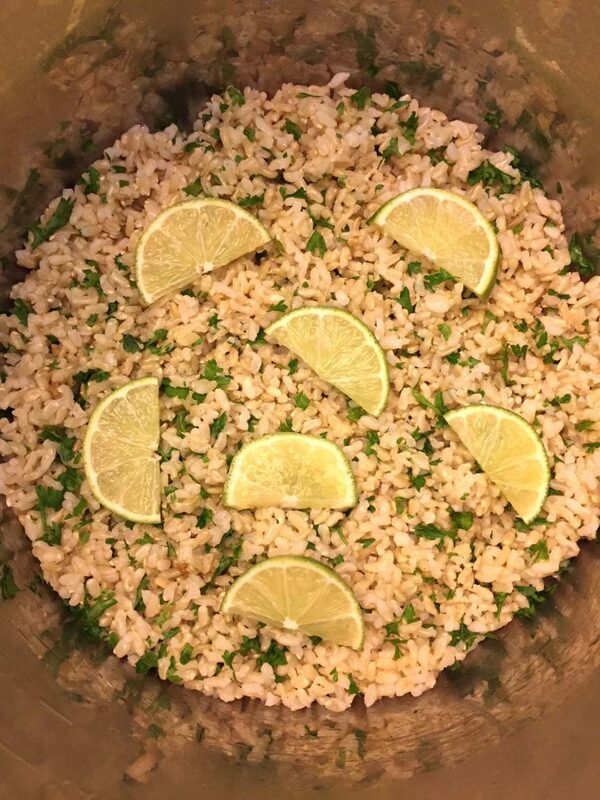 Cilantro-lime rice can be served immediately, or refrigerated for later and reheated, or even frozen in ziploc containers. If you don't rinse your rice, increase the water to 2¼ cups. What are the instructions to make on the stove top? 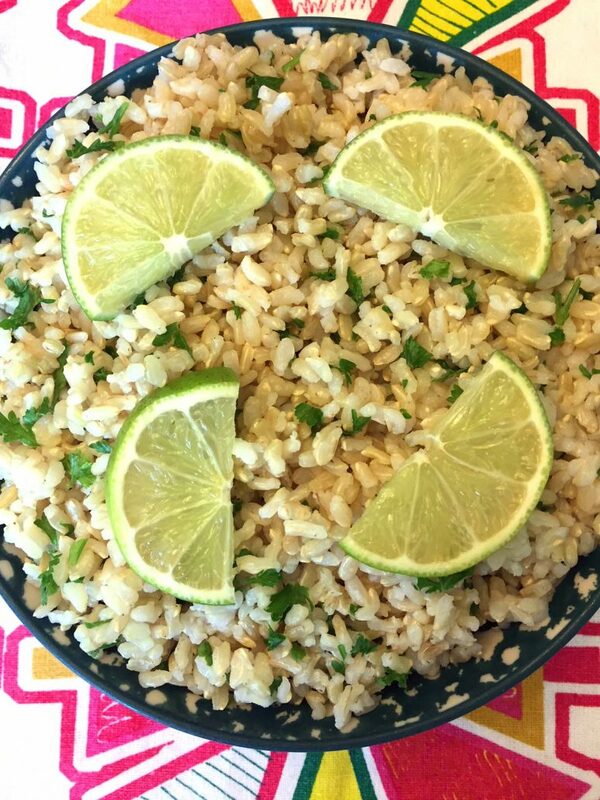 Here’s the link to Mexican cilantro lime rice recipe for stovetop.